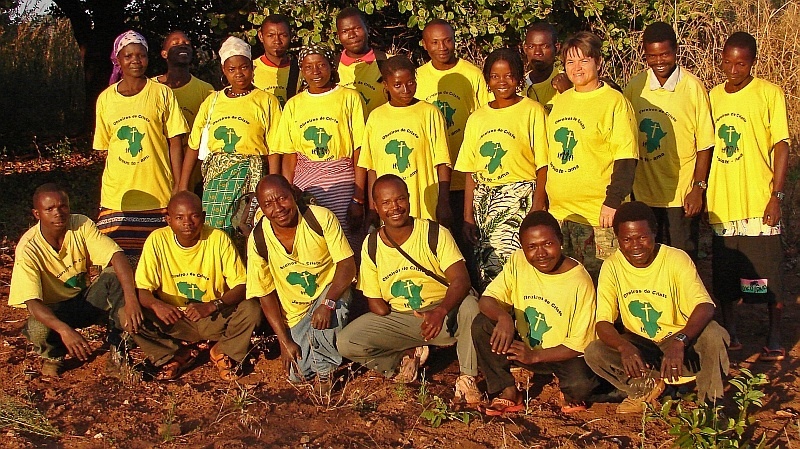 Our local pas­tors work full time with our 15 ever grow­ing churches in 2 coun­ties (Balama and Meluco). 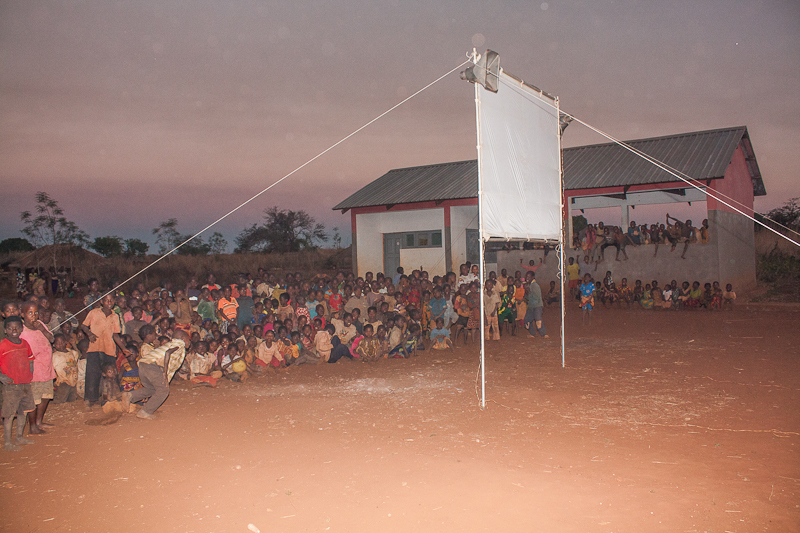 We evan­ge­lize by show­ing The Jesus Film in the tribal lan­guage of Makua (Mah-koo-ah). With­out Jesus we labor in vain. We hope to reach over 103,000 peo­ple with the Gospel of Jesus Christ in the com­ing years. This out­reach has just begun and is greatly impact­ing the locals with the truth of who Jesus really is. 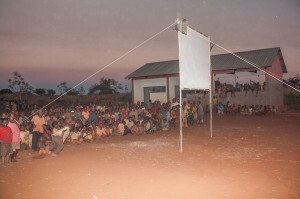 As of 2012 this film has impacted over 24,000 peo­ple in our area. Every­body is look­ing for­ward to see­ing the Jesus film. CHRISTIAN RADIO PROGRAMS IN 3 LANGUAGESare broad­cast 7 times a week in 2 coun­ties, reach­ing over 250,000 peo­ple. These pro­grams are pro­duced by Eric Dry, O.U.’s Asso­ciate Direc­tor, and the Pas­tors from 4 dif­fer­ent churches in Balama, who pro­vide the preach­ing and tes­ti­mony segments. 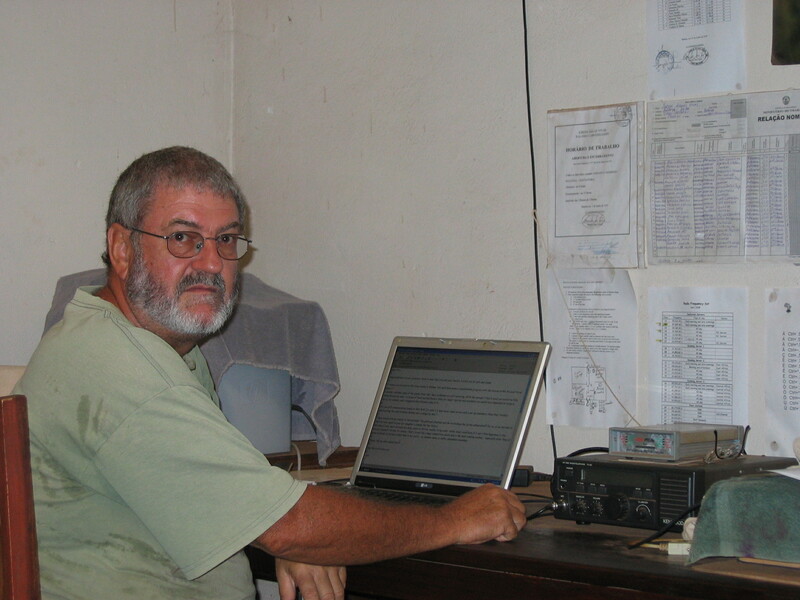 The BIBLE SCHOOL distance/time bar­rier has been bro­ken by broad­cast­ing Bible classes on the county wide radio sta­tions. This is bring­ing in depth Bible knowl­edge to all those who lis­ten in. All Bible School pro­grams are recorded by Pas­tor Alberto Pes­sute, the leader of our Bible School train­ing pro­gram. 3 BIBLE SCHOOL EXTENSIONS for train­ing new Pastors/Evangelists are taught weekly by Pas­tor Pes­sute in very remote areas of our Balama county. In these schools, 60+ men and women travel up to 10 miles by bicy­cle to attend an intense Bible Study, includ­ing evan­ge­lism meth­ods, so that they too, can help oth­ers find Christ. In the vil­lages, few peo­ple speak Por­tuguese, mak­ing it nec­es­sary to teach through visual/verbal avenues in Makua. Eric Dry, O.U.’s Asso­ciate Direc­tor, came up with the idea to make dis­ci­ple­ship films in Makua, using the locals as the actors & keep­ing the sto­ries cul­tur­ally under­stand­able. Eric formed a drama team using some of our orphans & thus began a new form of min­istry. Our pas­tors write the scripts in Makua & the chil­dren act them out or use pup­pets to tell the story. The films teach the Bible in very sim­ple, easy to under­stand lessons that last about 20 min­utes. This has proven a very effec­tive way to teach the Bible to those who can­not read. A lack of trained pas­tors is a major prob­lem in this area, mak­ing church plant­ing dif­fi­cult, since there are not enough pas­tors for the num­ber of vil­lages in the area. The Lord gave Brenda the idea of orga­niz­ing will­ing Pas­tors & mature Chris­tians from EVERY CHURCH in the area to train as children’s evan­ge­list. By buy­ing them bicy­cles & send­ing them out dur­ing the week to the vil­lages where no churches exist, they could start “shade tree Bible schools” for the chil­dren & wid­ows of that area. They were given a back­pack with a soc­cer ball, jump rope and a large Bible pic­ture that helped them tell a Bible story to the crowd. 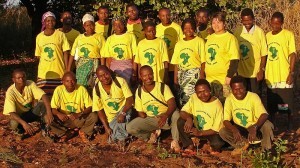 The BBC (Bush Bik­ers for Christ) mem­bers are sent out in groups of 3 to min­is­ter. They start with games & fun time. When the kids are tired, they gather the chil­dren under a tree & teach them a Bible story. In 2012 the BBC con­sists of 15 men and woman who cover 30+ vil­lages in 2 coun­ties with the “sports evan­ge­lism” pro­grams. In 2011, over 500 chil­dren and 100 adults received Jesus after attend­ing the BBC’s Bush Pro­grams. Three new vil­lage churches were started in Balama and 1 in Meluco because of the 2011 BBC pro­grams. By June, 2012, 2 addi­tional vil­lage churches were opened, thanks to the evan­ge­lis­tic work of these mighty men and woman of God.